PREMIUM DESIGN: The OLLEE® case was designed as the premium protection option for Amazon’s Kindle Paperwhite 10th Generation®. 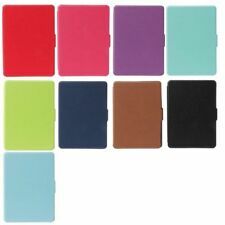 Our premium cases were built to protect your favorite Kindle Paperwhite device. 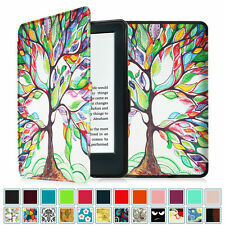 Made of advanced TPU material, the kindle case cover has a hard shell and four corners of the cushion pad, which can effectively prevent fall, shock, and water. 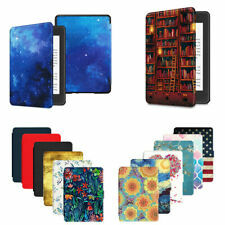 Fits for Kindle Version 2012, 2013, 2014 and 2015 All-New 300 PPI Versions with 6" Display and Built-in Light Not Fit For. Card Pocket Leather Folio Stand Cover + TPU Case For Amazon Kindle E-reader 6"
OMOTON Kindle Voyage Smart Case Cover -- The Thinnest and Lightest PU leather Case Cover for the Latest Amazon Kindle Voyage with 6" Display - Purple by OMOTON. 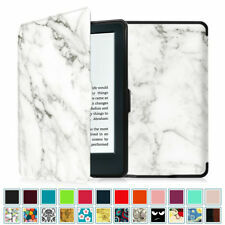 The Thinnest and Lightest Case Cover for Kindle Voyage, Adding little extra weight to your kindle voyage while provide you perfect protection. Same Day Ship w Tracking# and Free Gifts! Amazon Kindle Oasis 6in/8th Generation, I barely use it in very clean condition.